Opening a roller derby business is an exciting, adventurous and potentially dangerous idea. How would I know? I acted on it in 2007 with Flyin’ Squirrel, a novelty t-shirt company. Flyin’ Squirrel closed in 2010 after one of the worst economic crashes in U.S. history. Exciting and adventurous? Yes. Confidence boosting? Absolutely. I still have the equipment, the know-how and am smarter because of Flyin’ Squirrel. However, unlike playing derby, running a business isn’t something you can jump into with only excitement as your fuel. The economy improved and so has the success rate of small businesses in the U.S. Fifteen to twenty years ago, only 5-to-10% of small businesses lasted five years. In 2012, approximately 50% of small businesses made it that long. It could be attributed to the popularity of online shopping and various distribution options available for online businesses. A store can sell online with much lower overhead. A creative marketing campaign can have a tremendous impact through social media. I’ve selected five pitfalls most applicable to derby business from Patricia Schaefer’s article: “The Seven Pitfalls of Business Failure and How to Avoid Them,” which nicely summarizes known start-up issues. I added a few tips from my experience. Wrong reasons include: making big money, having more time for yourself and your family or being your own boss. Unless your product is truly unique, highly technological, has a high profit margin and dollar amount or can be marketed beyond roller derby, don’t expect riches to rain upon you. A reasonable living or part-time income is more realistic. Furthermore, running your own business is more work than most realize. Design, development, production, order management, fulfillment, accounting, marketing and even employee management is what you’ll face. Don’t go it alone. Poor management is often listed in reports as a leading cause of small business failure. It’s also one of the top reasons people leave their jobs. If you’re not a “people person,” hire someone who is. Sales, customer retention and employee relations depend on it. Good managers know how to reinvent stagnant business, create a positive image of the company and keep competent employees. Remember, it’s not just the cost of getting started; it’s the ability to fund everything for at least a few years. Most businesses aren’t profitable immediately and you need to plan for that. You cannot mix funds for the business with money you need to maintain for living expenses. It’s one thing to close your company and another to jeopardize your everyday life. Depending on the type of business and its structure, location can have a heavy hand in your success. 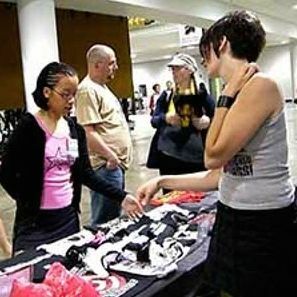 Oftentimes, skate sales are required to connect to a brick and mortar store before they can be distributed online. That said, you shouldn’t open traditional retail shop just so you can start selling online. Roller derby requires a lot of planning. Though leagues vary on their planning abilities, it’s far from a new concept. Planning is the core of a successful business or league. I personally experienced these last 3 pitfalls with my derby business. They are not referenced in Schaefer’s article. I suffered from too-many-good-ideas-at-once syndrome. Not only did I want to sell merchandise online, I wanted to help others sell unique items, post stories about my many trips across the U.S., and try to push forward charities related to derby leagues. I spent too much time developing material that grew outdated quickly. I should have focused on my business plan to design and sell reasonably priced t-shirts. Instead, I buried myself in projects. I knew just enough about web sites and coding to be dangerous. The more I learned, the flashier I tried to make the site. Too much time (again) with little payoff. A nice, clean site with easy navigation and payment tools is all you need. Having someone to update prices and prices, or give it a fresh look every year or so takes a big part of the work off your hands. Of course, this totally depends on what type of products you sell. It might work for you if your product is not high-margin or you’re able to take orders and don’t have to provide the product on site. In the U.S., with the exception of the top three or four most-attended events, you will likely lose money or break even at best. That might be perfectly fine, if the contacts you make and product exposure pay dividends later on. Let’s do the math: $500 for one table, plus a $650 flight, $90 a night (4 nights) and $200 in shipping would be $1710. That doesn’t even include food. And this is a low estimate, as table fees have probably climbed. It might be better to attend events close to home with your merchandise. If you can drive and return home at night, the cost equation changes dramatically. I wanted to take a moment and recognize an important derby project. Neil Gunner, a derby photographer in the Toronto area released a book of derby photos and stories. Preview the book, Into Battle: The Roller Derby Experience in Photos and Interviews. I’m honored to be in the book, but that’s not why I mention it. 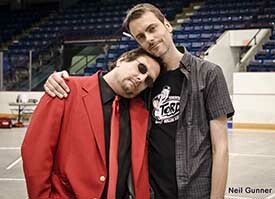 I love Toronto Roller Derby and so I offered Neil help with marketing advice. In particular, my ticket blitzing strategy, where coordinated blasts on social media multiply ticket sales. Eh, sometimes I know what I’m talking about. Tags: business pitfalls, marketing, ticket blitzing.